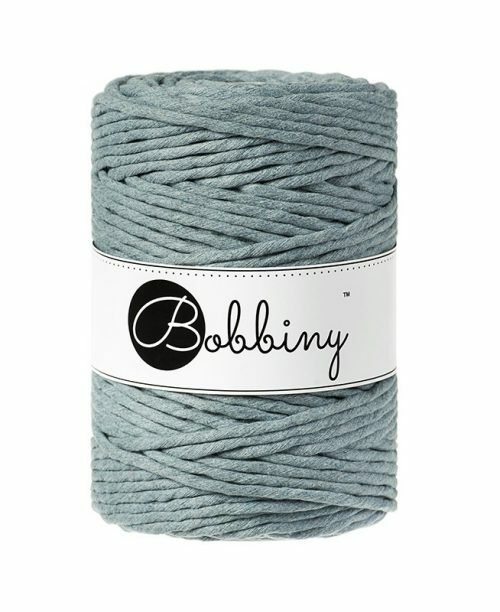 Bobbiny 100% recycled cotton macrame cords are made in EU. 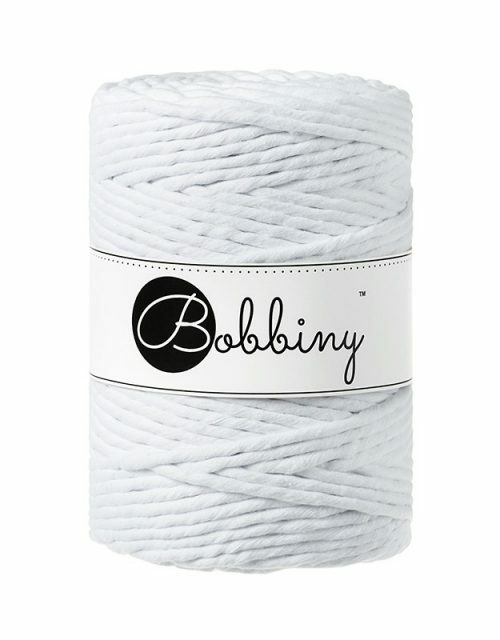 This thick cotton cord is ideal for plant hangers and wall hangings. Each bobbin is approximately 100m long. 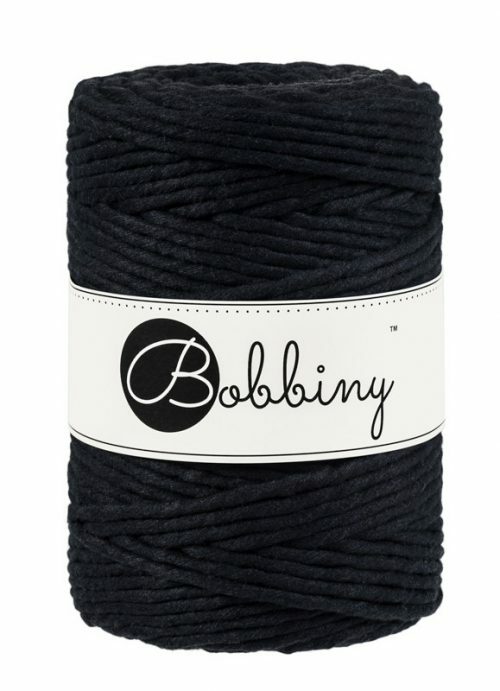 Each cord is made up of 112 fibers to create a smooth cord ideal for fraying and tassels. 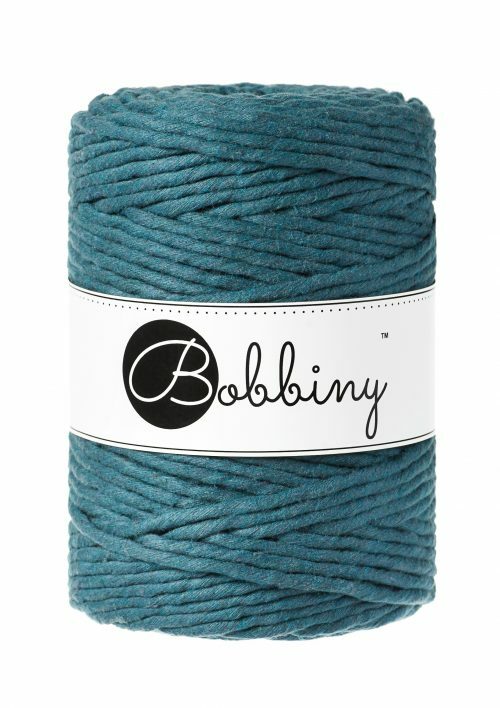 The way Bobbiny process the old clothes and textile waste ensures consistent colours without the need for environmentally damaging dyes or chemicals. Even the cardboard inner spool is made from recycled paper. 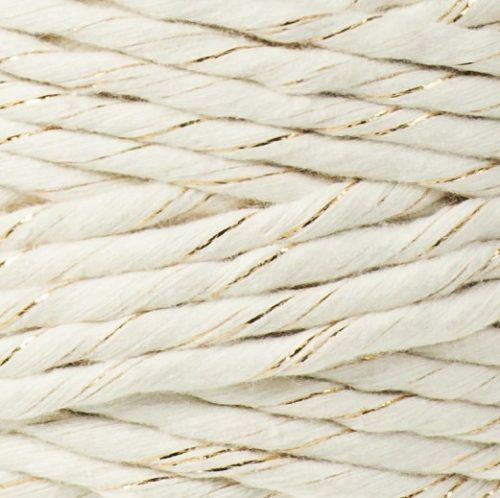 Premium Macramé Cord has been granted authorization according to STANDARD 100 by OEKOTEX (including requirements for Baby articles). OEKO-TEX STANDARD 100 guarantees that the tested and certified yarn does not contain any harmful substances that are a danger to human health and environment. Bobbiny 98% recycled cotton and 1% polyester, 1% poliamide macrame cord is made in EU. 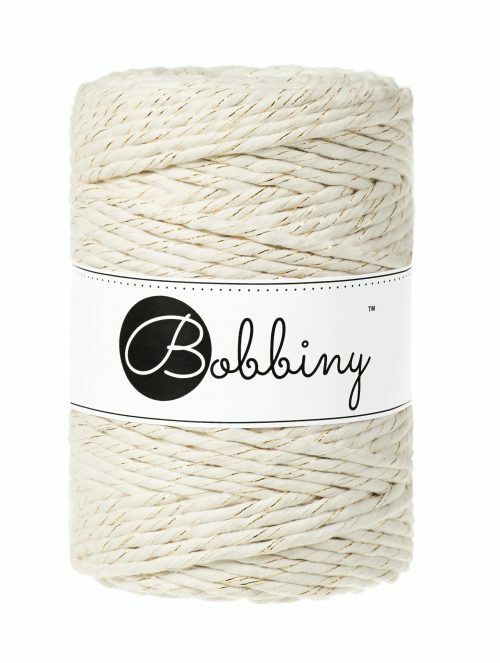 This thick cotton cord is ideal for plant hangers and wall hangings. Each bobbin is approximately 100m long. 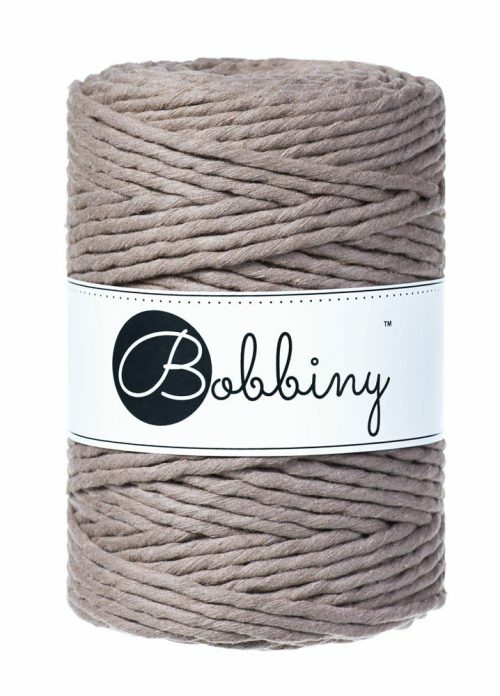 Each cord is made up of 112 fibers to create a smooth cord ideal for fraying and tassels. 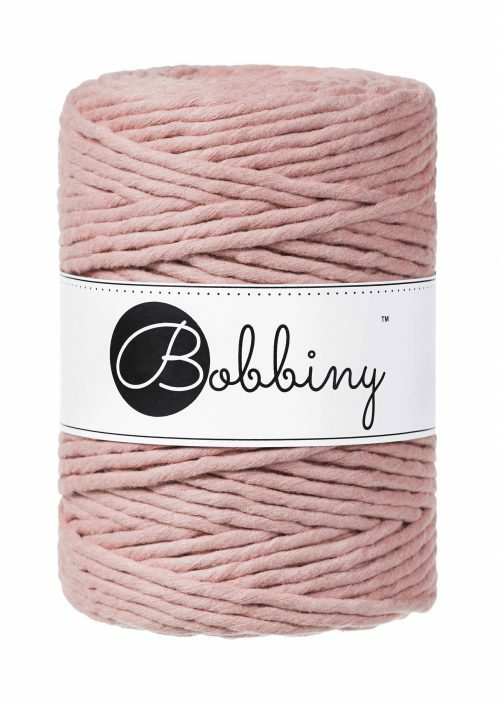 The way Bobbiny process the old clothes and textile waste ensures consistent colours without the need for environmentally damaging dyes or chemicals. Even the cardboard inner spool is made from recycled paper. Premium Macramé Cord has been granted authorization according to STANDARD 100 by OEKOTEX (including requirements for Baby articles). OEKO-TEX STANDARD 100 guarantees that the tested and certified yarn does not contain any harmful substances that are a danger to human health and environment.